Feel fabulous with a makeover! Expert makeovers grow in popularity, as women find they have less and less time in their day, and yet still want to look their best. Expert makeovers can take on several forms, but the most popular of these is going to a salon and having a professional makeup artist give you a completely new look cosmetically. Sometimes women get these makeover packages as gifts from friends and family after they have proven themselves to be working too hard and not pampering themselves enough. Other times, working moms who are fed up with their complicated appearance or "stuck in time" look seek out a professional to help them update themselves and hold it together a little bit better. Below are some other kinds of expert makeovers you may have heard about. We've all seen it. Maybe you've been home sick from work one day, or you happened to catch a rerun late at night. Either way, we've all caught a snippet of the makeover trend to hit the daytime TV talk show airwaves. Oprah does it excessively, as does Maury and a handful of others. Frumpy, everyday women made over into goddesses during a commercial break. But do these makeovers stick? For many women the sad reality is they just can't get their hair and makeup to look exactly the same after they leave the soundstage. For the majority, it is one day of glitz and glamour and then back to normal. Is it worth it? For the women who got the ultimate in self esteem boosts, if only for a day or two, they would say absolutely. Others would say that the difficulty found in the upkeep is not worth it, and they regret ever trying to make a change. Ultimately, without the help of the talk show host's head styling gurus, the majority of women featured on these shows slip back into the slump far too quickly. Another genre of expert makeovers is micropigmentaion, otherwise known as permanent makeup application. In this procedure, you literally get makeup tattooed onto your face. The upside is you will definitely save time in the mornings and won't have to rush around trying to get your face looking perfect. You just wake up, shower, and go. Many people think of micropigmentation and envision old women with hot pink lips and bright blue eyeshadow. However, nowadays nothing could be further from the truth. Natural makeup is emphasized during the consultation, and many times colors are used only with consideration of changing times, trends, and your personal preference. Many women with permanent makeup can choose to wear regular cosmetics on top of their micropigmentation without the two conflicting or looking comical. While micropigmentation sounds appealing, remember the process can be uncomfortable, often described as a feeling of "constant tweezing." However, if you think that you can tolerate a little bit of pain in the name of an expert makeover, then this procedure just may be right for you. If you don't have a lot of money to spend, and Oprah isn't returning your calls, then don't despair. 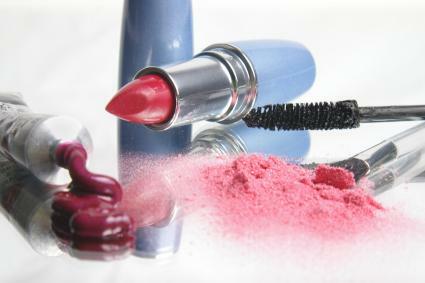 There are plenty of homemade makeovers available to you that can look just like expert makeovers if you do them right! Many books have been written by everyone from dermatologists to former super models, and most of them contain their own little pearls of wisdom. Websites as well suggest they have the perfect tips for a homemade expert makeover. Still others suggest investing some time into creating a virtual makeover. The choice is yours. However, there are a few rules that you should definitely follow when embarking upon your own expert makeover. Updating your hair and taking good care of your skin should be the first things you do when attempting a makeover. After that, play with some color on your face. Trying new shades of makeup causes huge fear in women all over the country, but your makeup should not be routine as your morning cup of coffee! Remember to throw old makeup away (and trash the duds you never use too), and treat yourself to a new brand or color once or twice a month. Whatever your method, expert makeovers can be fun to take on by yourself, with friends, or with a professional guiding you every step of the way. Whether you want just a new lipstick or a total transformation, the sky's the limit and the road is open wide. So go look into making yourself look as good as you feel with an expert makeover today.